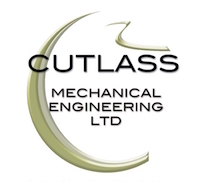 CE Marking became a Legal Requirement for Structural Steelwork from 1st July 2004 and in January 2015, Cutlass became a CE Approved Company. We are approved up to Execution Class 4 under the current CE Marking Legislation (EN 1090), which is the highest Execution Class that can be obtained, therefore our clients can be assured that we can legally design, fabricate and install their steel work. For a copy of our Certificate please click the below icon.